There are many phone users that appreciate a dual-SIM device, and now it won’t be too long until tri-SIM smartphones become available. LG and Chinese manufacturer GooPhone have both announced plans for tri-SIM smartphones, with the LG Optimus L4 2 (L4II) and the GooPhone X1+. The Optimus L4 2 will be one of the world’s first tri-SIM smartphones and could be useful for travellers or for those who want to keep personal and business use separate. Also some users may want to keep one SIM slot exclusive for 3G. The L4 2 Android 4.1 phone looks to have some respectable specs for an entry-level device, with a leaked price of approximately US $200 already spotted at one Brazilian online store. 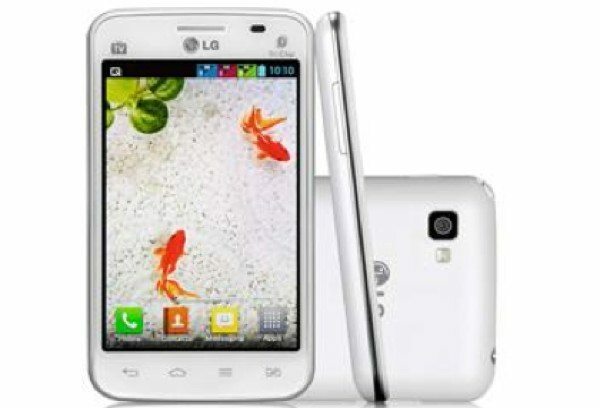 Unofficial specs of the LG Optimus E470 L4 II Tri (to give its full name) include a 1GHz processor, 3.8-inch display, 512MB of RAM and 4GB of internal storage, expandable via microSD. There’s also a 3-megapixel camera along with a 1.2-megapixel camera, and a 2150 mAh battery. It also looks likely to have a built-in TV tuner so it’s not likely this phone will be coming to the US or Europe. You can see a leaked image of this phone directly below. It might be worth bearing in mind that none of the above is confirmed yet and that this information has been Google translated and some details may be lost in translation. The other tri-SIM device that has come to light is the GooPhone X1+ and some leaked images have emerged from a Chinese website. The X1+ is said to have a 1.2GHz dual-core processor, 5-inch display with 854 x 480 resolution, 1GB of RAM and 4GB of internal storage, expandable via microSD support to 32GB. The GooPhone X1+ also has a 5-megapixel rear camera, 2-megapixel front-facing camera, 2100 mAh battery, Wi-Fi 802.11 a/b/g/n, Bluetooth, and runs Android 4.1 Jelly Bean. A price leak has quoted $149.99 and it will come in grey or white color options. The leaked image below this story is claimed to be the GooPhone X1+, which supports 2G GSM: 850/900/1800/1900 and 3G WCDMA: 850/2100MHz. We’ll be keeping our noses to the ground hoping to sniff out more details on these devices soon. In the meantime we’d like to know if you’d be interested in a tri-SIM smartphone, so please let us know by sending us your comments.